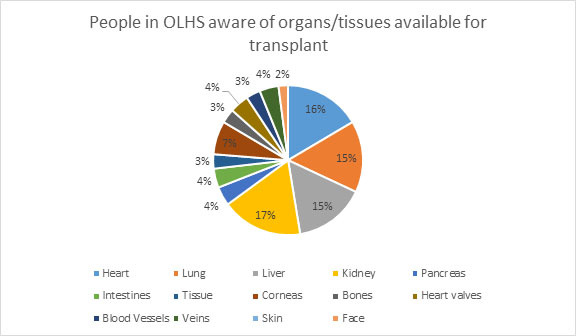 Recently we carried out a survey in our school about organ transplants. We asked a range of people in our school from the year S1 to S6 and staff. We surveyed 54 pupils and staff. 84% of pupils and staff thought that organ transplants were a good idea. Only 43% of pupils and staff had heard of Transplant Games which are being held in North Lanarkshire this year in July. 51% of pupils and staff we surveyed estimated that 300-500 people in Scotland are waiting to get a transplant. At the end of March 2016 there were 542 patients waiting for a transplant in Scotland, with a further 284 temporarily suspended from transplant lists.